It's pretty easy how the following scenario could appear to be lame: Famous actors - who aren't facing any current legal trouble - march to Washington, D.C. and appear before Congress to mindlessly spout off about their latest fave causes. Meanwhile, bona fide experts on the subject sit on the sidelines ignored and silent because, well, they're not famous Hollywood stars. When it comes to cred, it seems these days Congress will choose the lip service of a celebrity over an expert in the field every time. But believe it or not, celebrity testimony before Congress in most cases is a very good thing. For starters, most celebrities who do appear before congress are actually bona fide experts and passionate activists for the causes they care about. It also doesn't hurt to have a famous face attached to something to raise awareness. In a best-case scenario, a popular celebrity can draw mass attention to an issue and actually create some real legal action in Congress. In some cases, celebs are actually invited by Congress to speak on behalf of a current issue that's being addressed. Here's a list of 20 celebrities who have testified before Congress. You might be surprised at some of the names here. Lots of folks quickly dismissed it as a joke when the news hit in 2015 that actor Ben Affleck was scheduled to testify in front of the Senate Foreign Relations Committee as part of a panel of experts on the Democratic Republic of Congo. But not so fast, folks. Affleck has long expressed a strong interest in the problems of Congo. And his March 26, 2015 testimony wasn't his first, but third time testifying before Congress. His philanthropic organization Eastern Congo Initiative provides grants and funding for Eastern Congo populations affected by poverty and underdevelopment. 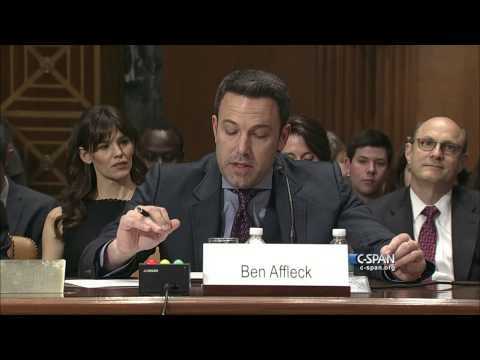 While some may question Affleck's expertise, his testimony could prove to be valuable based on his organization's work in the troubled African nation. And this last time, he even managed to sneak in a Batman joke. Watch the video to see. 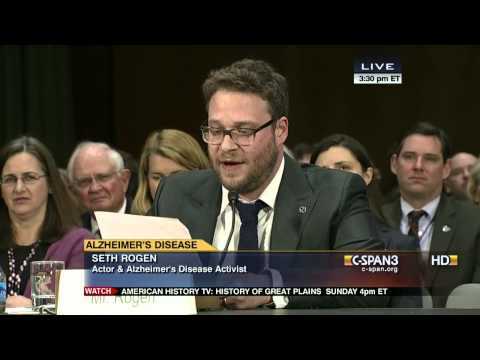 Hilarious Canadian Seth Rogen testified at a Senate hearing in February 2014, but not in favor of marijuana legalization. He spoke to promote funding for Alzheimer's research in a hearing called "Taking a Toll on Families and the Economy: The Rising Cost of Alzheimer’s in America." His mother-in-law, Adele Miller, suffers from the disease. Probably one of the most infamous celebrity Congressional testimonies to date, the late screen icon Elizabeth Taylor testified in front of Congress in 1986 on behalf of AIDS research funding and to increase emergency care to those afflicted by the disease. The first celebrity to come out publicly in the fight against AIDS, her testimony was invaluable in the support of the Ryan White Care Act, which served as the federal vehicle for providing healthcare for low-income people and the uninsured. In 1990, actor Michael J. Fox went public about his Parkinson's Disease diagnosis. Makes sense that he would be considered an authority on the impact of the illness, especially after becoming an activist and creating the Michael J. Fox Foundation, which supports creating a cure for Parkinson's Disease. Fox's appearance before Congress to advocate more Parkinson's Disease research, including stem cell studies, was not without controversy. He received some criticism for intentionally choosing not to take his medication for the occasion so that Congressional members could see firsthand the physical effects of the disease. It also should be noted that Fox has appeared multiple times in front of Congress to advocate research for Parkinsons.